A State Department official that once implied that a prominent American international adoption advocate had “racist and colonialist notions” is now in charge of international adoptions at that agency and, according to a group called SaveAdoptions , is destroying the chances for orphaned children worldwide to get adopted by families who have lined up to rescue them. The official, Trish Maskew, was hired in 2014 as the Adoption Chief in the Department of State’s Office of Children’s Issues (OCI). Prior to her State Department tenure, Maskew testified that “Adoption is one of the most unregulated industries in America today” and implied that adoption agencies need to be shut down. This is not the only time Maskew, prior to her tenure at the State Department, took a jab at adoption advocates. Maskew also took a backhanded slap at adoption advocate Elizabeth Bartholet in a 2009 article writing, “Leaving aside the racist and colonialist notions that some see in positions like hers (Batholet’s)” and then provided footnoted excerpts from a feminist writer who said that international adoption is an altruistic cover for Western parents over “subordinate” third world nations. A State Department OCI whistleblower, in a recent article in The Federalist, confirmed that OCI officials want to see adoption agencies closed. The whistleblower heard officials stating, “There need to be fewer adoption service providers.” Maskew’s OCI is well on their way to achieving Deep State goals having increased regulations, added additional adoption fees, and adding a new adoption accrediting entity that will increase fees on American families even more. International adoptions have declined in the last 14 years from over 22,000 in 2004 to less than 5,000 in Fiscal Year 2017. Following the trajectory, international adoption by Americans will be finished in four years. Adoption agency directors have asked the State Department repeatedly over the last two years to provide a goal: how many adoptions would they like to see next year? Their suspicions were confirmed during a joint meeting between adoption agencies and the Office of Children’s Issues when it was revealed that next year’s projection (and the accreditation budget) were 500 fewer adoptions than last year. In other words, the Office of Children’s Issues has set a goal of reducing the number of orphaned children who get adopted next year by 500. Dozens of Congressmen, Senators, and state Governors have already attempted to pressure Department of State Assistant Secretary Carl Risch, to make necessary changes to these trends. Senator Roger Wicker recently delivered a letter to Mr Risch stating that he had serious concerns about the unsuitability of OCI’s designation of a new accrediting entity for adoption agencies. SaveAdoptions recently filed a complaint with the Office of the Inspector General naming several violations of the law involved in the designation of this new accrediting entity, known as IAAME. Evidently, there was enough merit in these concerns to prompt Mr. Risch to send a letter to the adoption community stating, “Were efforts to disrupt the AE [accrediting entity] transition effective, the Department would be left with no AE, and accreditation and approval of ASPs would cease until a new AE could be found, absent a change in the legislation governing intercountry adoptions.” This statement came across as a threat to adoption agencies to stop raising concerns about the new accrediting entity, indicating that the OCI feared the inspector general complaint had some validity. The Department of State has responded by placating agencies with a general desire to have more collaboration. Yet a symposium between adoption agencies and OCI scheduled recently was cancelled, purportedly for “security concerns.” This symposium was to occur in the State Department Building. 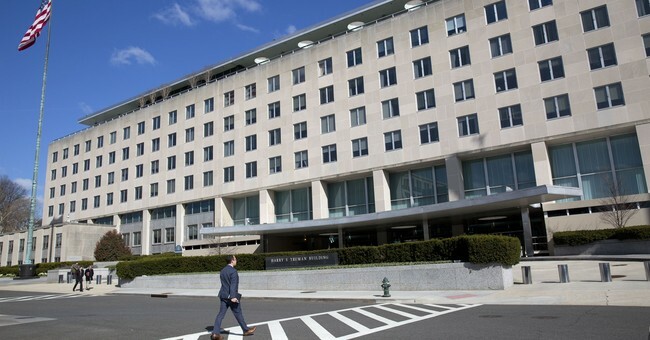 It is hard to imagine what security threats adoption agency professionals posed to the State Department building, but one hopes that those security threats were reported. Clearly, there is no trust or collaboration between the adoption community and the Deep State. A White House petition is currently gathering signatures to send a message to President Trump that a change in adoption policy is required to save international adoption by American families. There are few problems in Washington that have easy solutions, but this problem can be solved without the courts or Congress if President Trump or the incoming Secretary will reverse the State Department policies that only add to an increase in regulation and cost for American families. Adoption agencies are hoping that President Trump will make adoption great again. *Views in this article are those of the author, written in a personal capacity, and are not those of any government agency.